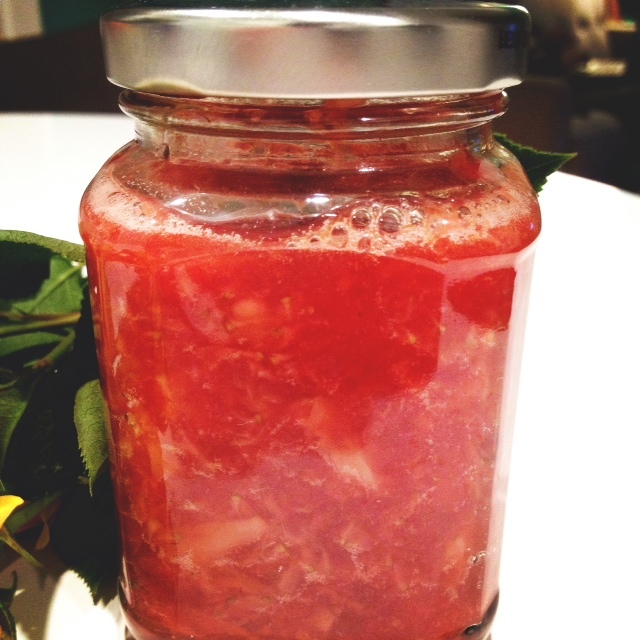 Strawberry Ginger Jam | shirley does Feminism. I am not quite sure why but strawberries have been super cheap as of late. I of course find it necessary to buy a mass amount when I see cheap prices. Recently a giant thing of strawberries was $2.00 which naturally meant I must purchase them. I love making jam which made for an easy decision. 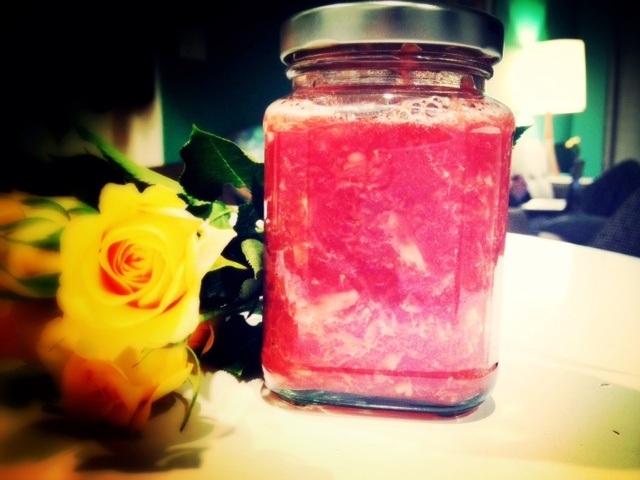 I made strawberry ginger jam with my purchase and the result is a tangy sweet spread. 1 c of sugar (I used stevia)- if you like a sweeter jam, add more. Prepare canning jars in boiling hot water. Have close to cooking area. 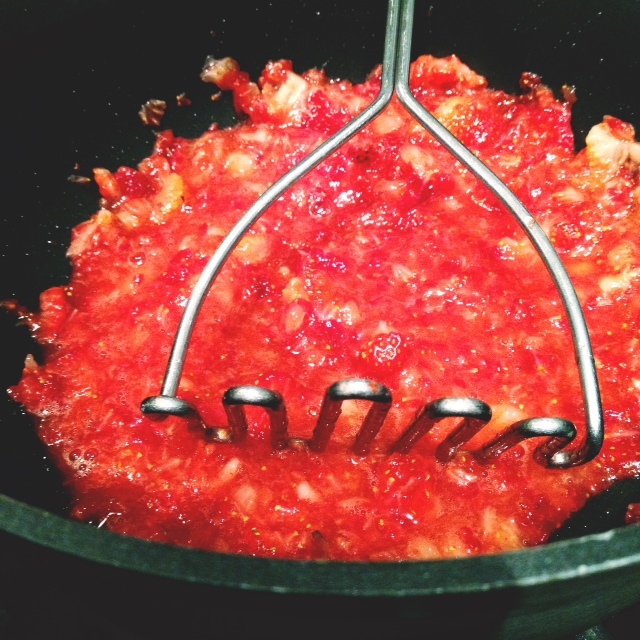 Place strawberries in deep sauce pan and mash with a potato masher. 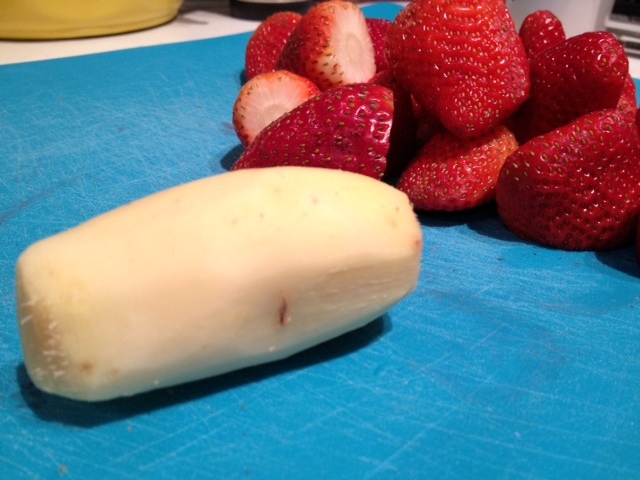 You can also use the food processor, just depends how fine you want the strawberries. Toss in ginger, pectin and sugar. Bring mixture to a boil, stir constantly. Once mixture is boiling immediately transfer to jars. Clean the outer rim of jar and place in a cool dry place for 24 hours, then transfer to the fridge.